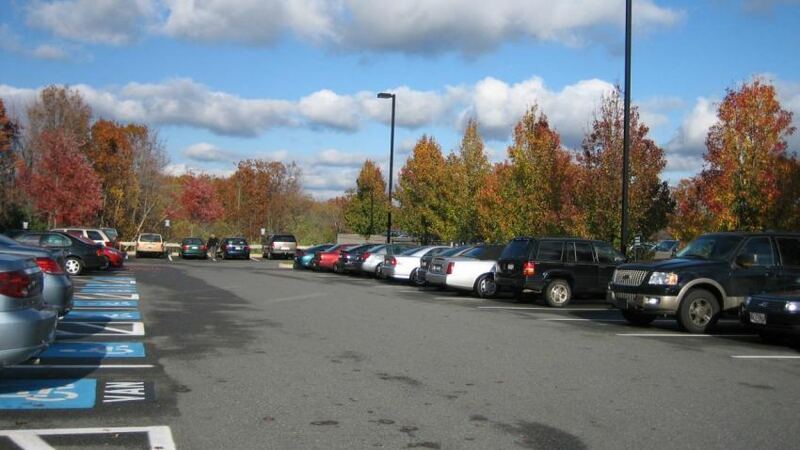 Valid parking permits are required when parking on campus. The cost of the initial permit for each school year is included in the tuition and fees. A permit must be obtained within ten (10) days of the start of classes. Additional permits (including replacements for lost or stolen permits) can be purchased at the Cashiers Window for a $12 fee each. Print confirmation to bring with you when picking up permit. The confirmation receipt will indicate location and time frame permit will be available for pickup. A valid Student ID is required when picking up your permit. Student ID’s can be obtained at the Photo ID office in Diggs Hall Room 109 (cashier window) at no cost (There is a replacement fee of $10 for lost/stolen IDs). Please Note: a state ID card is required. Paper applications are available at the Cashiers Window, Campus Police and Photo ID for those students who are unable to complete the online form. Please note: there may be a delay in processing time during peak registration periods. The cost of the initial permit for each school year is $30 and must be obtained within ten (10) days of start of school year or employment start date. Additional permits (including replacements for lost or stolen permits) can be purchased for a $15 fee each. Permits will be paid for at the time of pickup at the Cashiers Window. Cash, check, Visa and Mastercard are accepted. Checks must be made payable to Thomas Nelson Community College or Thomas Nelson. Payroll deduction forms are also accepted during specific time period established by Human Resources. A valid Thomas Nelson employee ID is required when picking up your permit. Employee ID’s can be obtained at the Photo ID office in Diggs Hall Room 109 (cashier window) at no cost. Please Note: a valid state or government picture ID card and SIS emplID is required. Paper applications are available at the Cashiers Window, Campus Police and Photo ID for those employees who are unable to complete the online form.